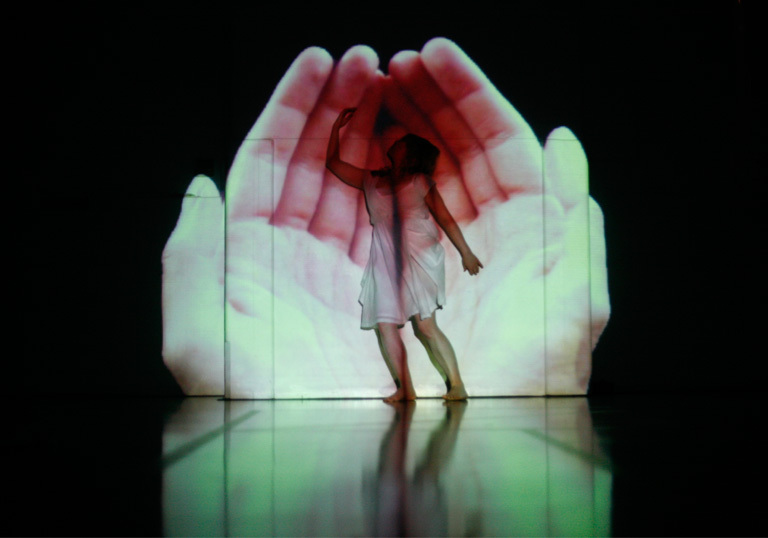 Amen is a solo performance experimenting with the juxtaposition of movement, text, projected imagery and sound. The narrative started with the act of bringing the palms of the hands together in the praying position, asking why humans do it and where this act comes from. Inspired by the painting ‘The Martyrdom of St Catherine of Alexandria’ by the German painter Lucas Cranach, depicting the last moments before her beheading, kneeling and joining her hands in a prayer position, the performer set out to investigate the instinctive action that made this gesture universal for praying, meditating, worshiping, showing a sense of gratitude, reverence, dread and devotion. 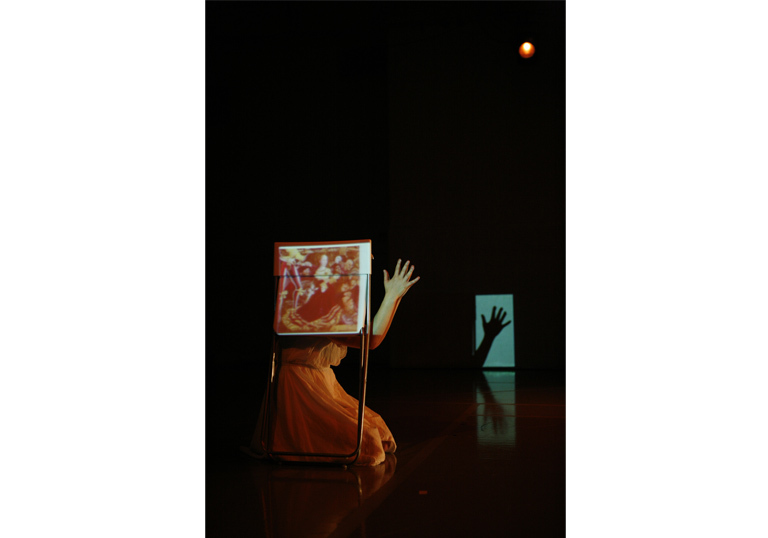 The audience is led on a journey exploring the ritualistic, religious and secular forms of this act. 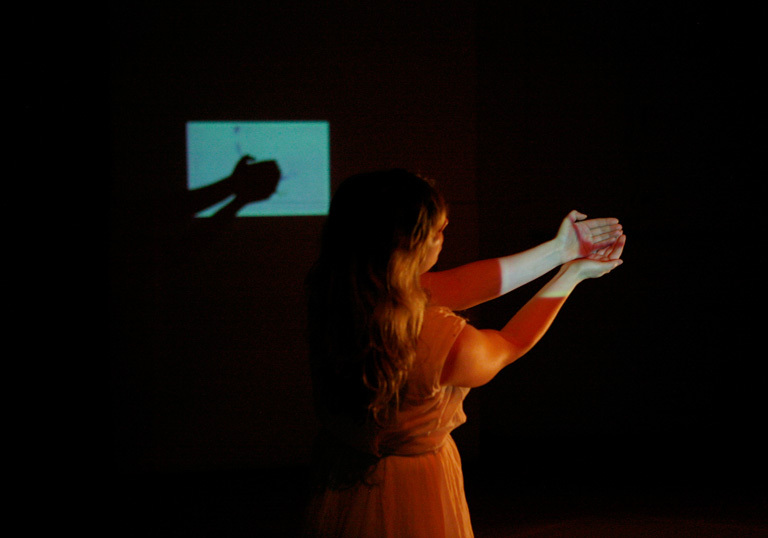 By using a primitive version of image mapping technique, a series of unexpected spaces were created on a small stage through the use of objects and projected imagery. 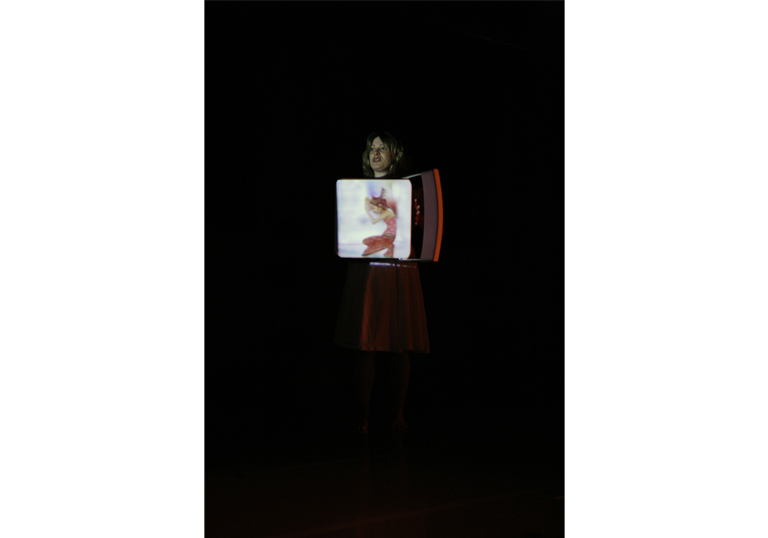 Initial development of the piece took place at the London Metropolitan University as part of the Weave research project.